Chelsea are reportedly one of the clubs on alert for the potential transfer of Marseille winger Florian Thauvin after he recently dropped a hint over his future. The 25-year-old attacker has shone since moving to Marseille, despite flopping in his time in the Premier League with Newcastle in the 2015/16 season. Thauvin now looks as though he could be a fine signing for the Blues and boost their attack, which looks in need of some changes despite a generally strong start to the season. 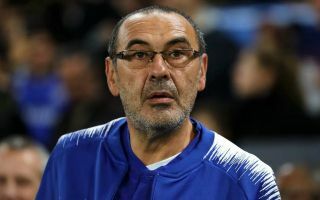 Eden Hazard, who is out of contract at the end of next season, has largely carried Maurizio Sarri’s side for a lot of this season, with other attacking players like Alvaro Morata, Olivier Giroud and Willian struggling to show their best form. Thauvin could therefore be an ideal addition to this squad, and it’s claimed by France Football, with translation from the Metro, that Chelsea are one of a number of teams looking at him, along with Bayern Munich, Inter Milan and Atletico Madrid. The report suggests Thauvin’s asking price would be around £41million, which seems cheap for a player of his calibre. The Metro also quote him as recently saying: ‘I’m hungry for titles, that’s what remains at the end of your career.